No lighting - typically for GUI screens. World lighting, which is used for objects which become brighter or darker depending on the amount of light in the world (light from the sky and/or nearby glowing objects). Item lighting is turned on and off using RenderHelper.disableStandardItemLighting() and .enableStandardItemLighting(). It models two light sources chosen to ensure the rendered items look three-dimensional. The basic world lighting model in Minecraft is made up of two components; Sky Light and Block Light. 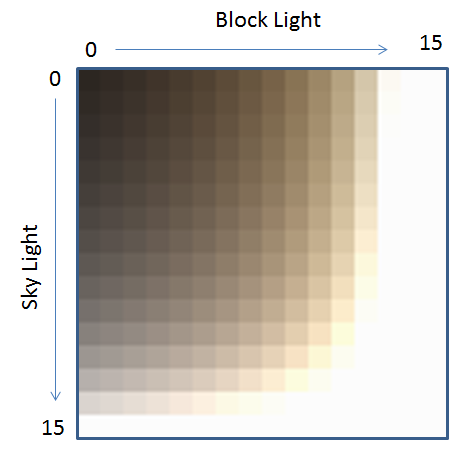 Each grid location in the world has a value between 0 - 15 for Sky Light and also a value between 0 - 15 for Block Light. 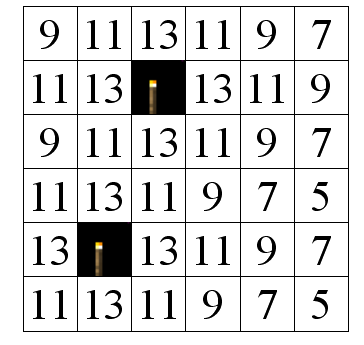 Sky Light is the light that this block is receiving from the sky, either directly (can see the sky) or indirectly (is near blocks that can directly see the sky). 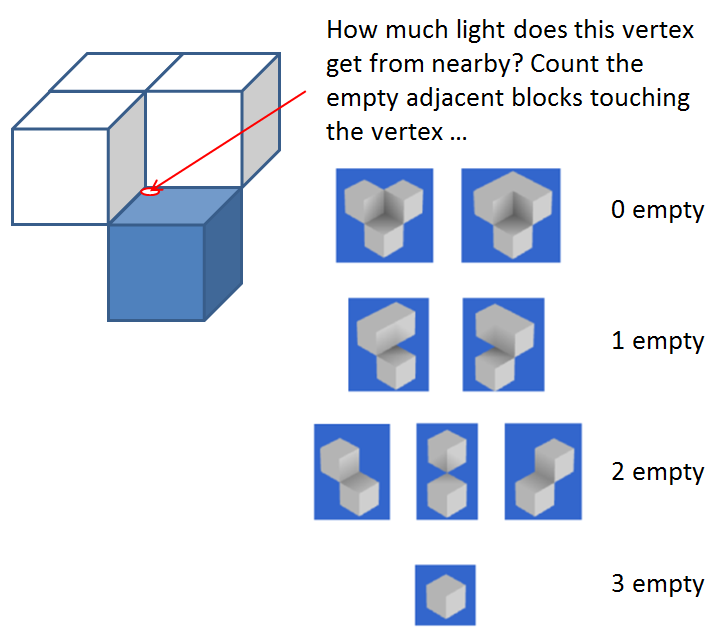 worldRenderer.setBrightness() is called with this combined "mixed brightness" value, which is interpreted by the Tessellator as two 16 bit coordinates (i.e. [BlockLight, SkyLight]) for a texture called the lightMap texture (OpenGlHelper.lightmapTexUnit) - see picture below. When OpenGL renders the block face, it first draws the icon texture (OpenGlHelper.defaultTexUnit) as previously described then "modulates" it using the appropriate texel from the lightMap, i.e. as given by the [BlockLight, SkyLight] coordinate. (This process is called Multitexturing). 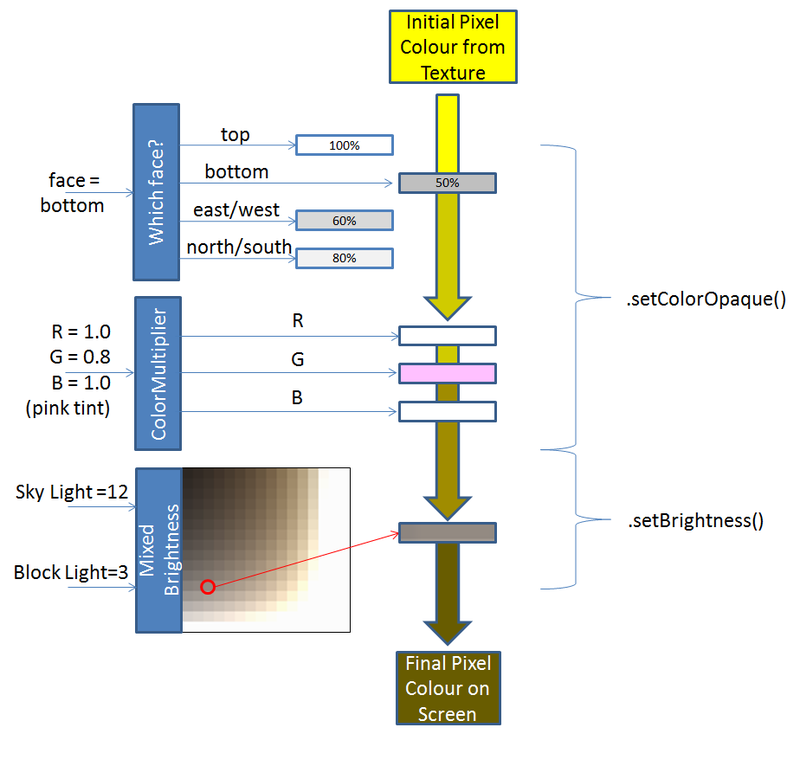 The lightMap texture (OpenGlHelper.lightmapTexUnit), which has 16x16 texels . Each texel corresponds to a combination of Block Light and Sky Light. 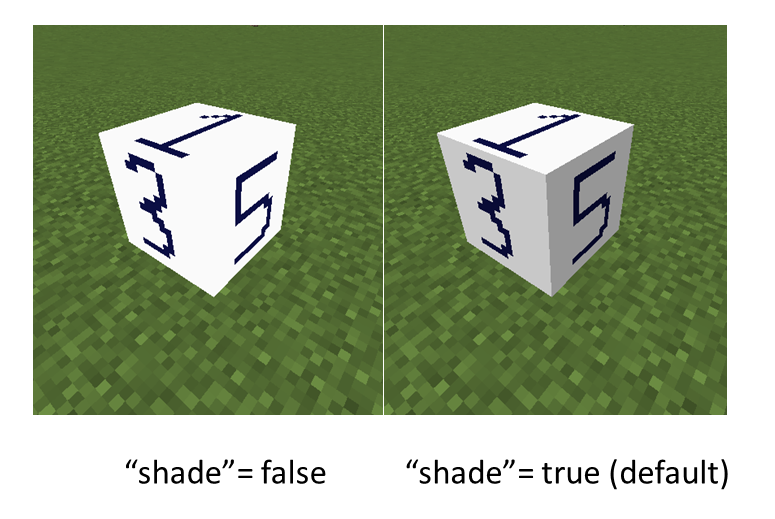 This lighting is applied to each face using worldRenderer.setColorOpaque() ; when the texture is rendered it is multiplied by the "colour" value (in this case a shade of grey). The actual multitexturing used by minecraft is a bit more complicated than the explanation above. It is set up in two functions in RendererLivingEntity - currently called func_177092_a and func_177091_f but this will likely change in the future. The multitexturing is set up with three layers, and they are changed depending on what is being rendered. layer 0 multiplies the model texture by the untextured colour and alpha. Called before rendering parts of living entities, the purpose is to change the entity colour when it is damaged (i.e. it flashes the entity skin red). The OpenGlHelper.GL_TEXTURE2 used by one of the layers is just a dummy to provide an extra layer for the multitexturing.